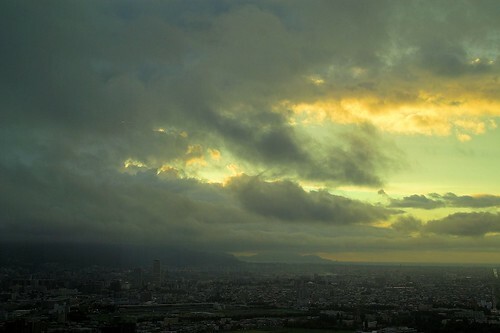 Sapporo at sunset, originally uploaded by laurenz. view from the JR (Japan Rail) Tower. This building was completed in 2003 and is 173 meters high. The only thing I hated when going around the 38th storey was the very repetitive background music.